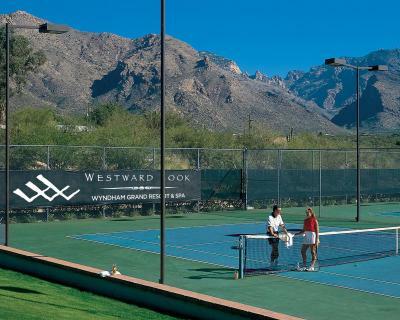 Lock in a great price for Westward Look Wyndham Grand Resort & Spa – rated 8.4 by recent guests! Review is spectacular, food is great, grounds are lovely. Bed was awesome. I wish we had a room that overlooked the pool or a view but wasn't critical. 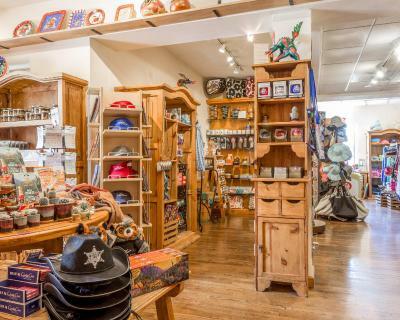 We love the Westward Look, have been there three times over the years. Very comfortable and approachable, not pretentious or overly precious. Great value for the money. Food was great and service wonderful. Great pools. Enjoyed the trail around property. Room size was great, loved the pool, ate at your restaurant and the breakfast and service was exceptional. The room was clean and comfortable. The food was great. Some of the nicest staff I’ve encountered anywhere! These people really seem to love their job! The room was clean. Robes were provided. The grounds were lovely. The room needed an upgrade. The bed was good, but the furniture looked old and worn. We appreciated the fact that we could control the room temp. Westward Look Wyndham Grand Resort & Spa This rating is a reflection of how the property compares to the industry standard when it comes to price, facilities and services available. It's based on a self-evaluation by the property. Use this rating to help choose your stay! 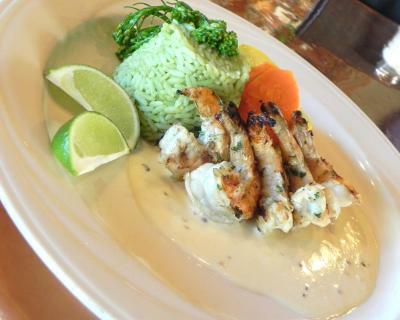 One of our best sellers in Tucson! 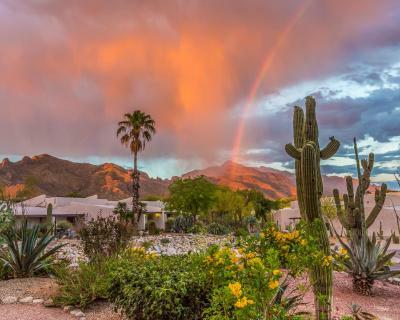 On 80 acres at the base of the Santa Catalina Mountains, this Tucson resort in Tucson offers upscale guest rooms with free Wi-Fi. A restaurant and bar are on site. A private balcony or patio featuring views of the mountains, desert or city lights is featured in each room and suite at Westward Look Wyndham Grand Resort & Spa. A 42-inch flat-screen HD cable TV, an iPod docking station and a small fridge are provided. A sitting area with sofa, arm chair and work desk is furnished. The GOLD restaurant serves fresh contemporary cuisine mixed with desert-inspired flavor for breakfast, lunch and dinner. 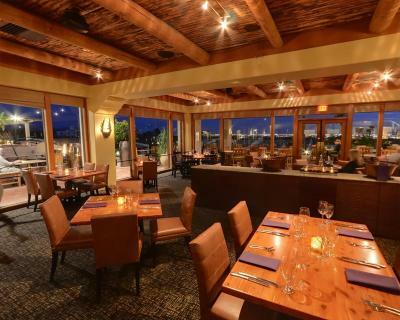 Lookout Bar & Grille features comfort food with a modern twist, specialty drinks, a variety of tequilas and an outdoor dining terrace. 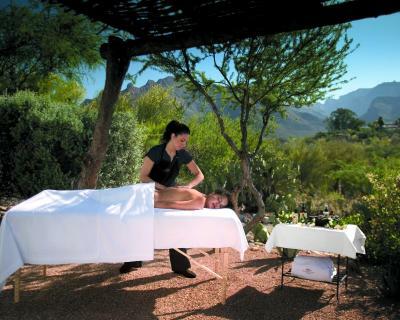 The Sonoran Spa offers specially-designed massages, body therapies and spa treatments using regional desert botanicals. 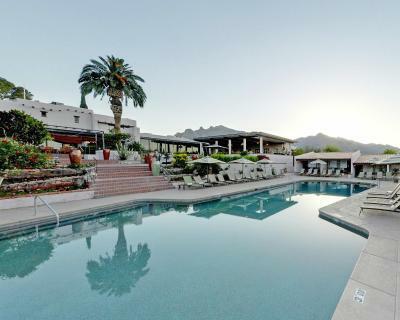 An outdoor swimming pool, hot tub, tennis courts and fitness center are available for guest use. A business center is on site. 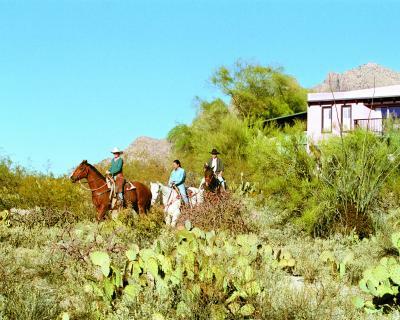 Golf, horseback riding and hiking opportunities are located nearby. Tucson International Airport is a 30 minute drive away. 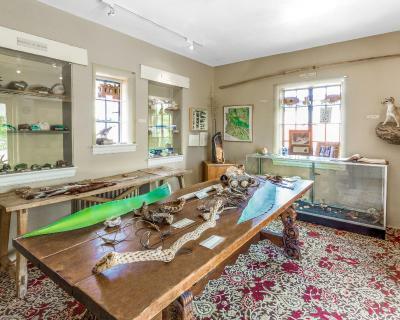 Old Tucson Studios is a 40 minute drive away. Mt. Lemmon is 1.5 hours’ drive from Westward Look Wyndham Grand Resort & Spa. When would you like to stay at Westward Look Wyndham Grand Resort & Spa? 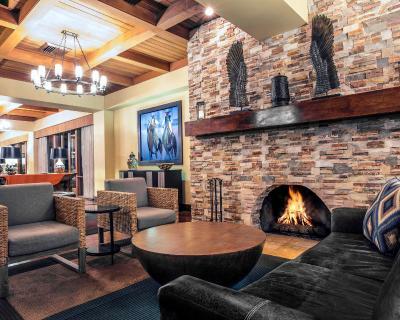 A private patio, free Wi-Fi, and a 42-inch flat screen HD cable TV are featured in this room. An iPod Docking station, small fridge and work desk are also provided. A private balcony or patio, free Wi-Fi, a 42-inch flat-screen HD cable TV, an iPod docking station and a small fridge are provided. A sitting area with sofa, arm chair and work desk are in this room. A private balcony, free Wi-Fi, a 42-inch flat-screen HD cable TV, an iPod docking station and a small fridge are provided. A sitting area with a sofa bed, and work desk are included in this room. A private patio with views of the pool, free Wi-Fi, and a 42-inch flat screen HD cable TV are featured in this room. An iPod Docking station, small fridge and work desk are also provided. 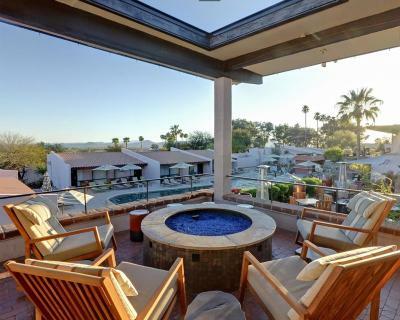 A large, private walled-in patio and a private 2-person hot tub are featured in this suite. The suite also includes free Wi-Fi, a 42-inch flat screen in both the bedroom and the parlor, an iPod docking station and a small fridge. A parlor room with a sofa bed, armchair, dining table and work desk is included in this suite. This suite has a sofa, seating area and air conditioning. 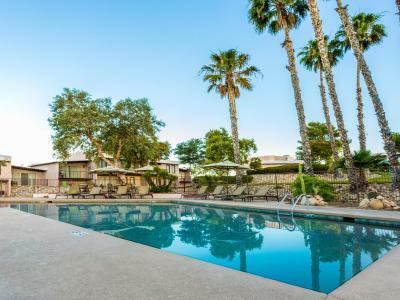 ituated on 80 acres in the pristine Sonoran Desert, authentic Southwestern charm prevails at Westward Look Wyndham Grand Resort & Spa in Tucson, Arizona. 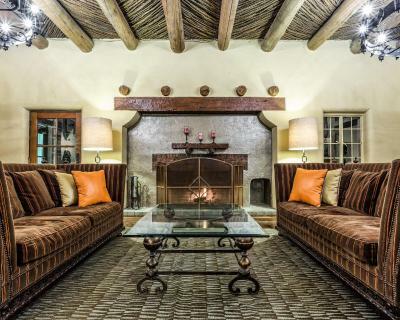 Originally built as a hacienda-style family home in 1912, each of the 241 well-appointed rooms offers a private balcony with breathtaking views of the surrounding desert landscape. 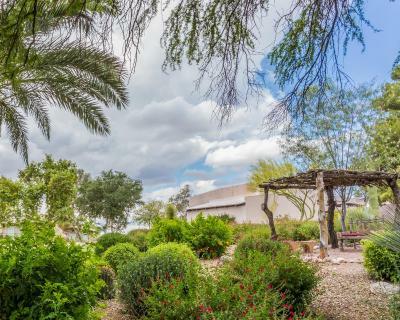 Our location puts you in reach of many of Tucson's best attractions, making Wyndham Grand Westward Look the best of hotels near Sabino Canyon, near Saguaro National Park, and near Tucson Mall. House Rules Westward Look Wyndham Grand Resort & Spa takes special requests – add in the next step! Westward Look Wyndham Grand Resort &amp; Spa accepts these cards and reserves the right to temporarily hold an amount prior to arrival. Westward Look Wyndham Grand Resort & Spa accepts these cards and reserves the right to temporarily hold an amount prior to arrival. Pets are allowed for a non refundable deposit. Contact the property for more information. I love Westward Look - the location, the layout, the beautiful property, the 3 pools and hot tubs - the fact that there's a lap pool. The views. I have nothing but love for the resort, itself. Housekeeping did not do a good job, other than making the beds, they did not replace the towels and soap, whatever they did replace the next day was just thrown in the baskets. Had to change rooms because the door lock would not work. I know they’re going to start a remodel soon, but service shouldn’t be compromised. Room clean but dated. Drapes sagging. Mattress old. Furniture drawers out of alignment and surfaces badly scuffed. Maria at Spa was superb. Staff polite and helpful. The hotel is in need of redecorating. The handle on the dresser drawer came off. The hot tub was dirty. The carpet was very worn in places. The beds were small, not queen size but a little bigger than a full. Very spacious room and beautiful property. Dated furnishings and bathroom tiling. Hard to see at night. Friendly staff and clean. Quaint space. When I arrived, the toilet had hair from a hairbrush in the unflushed bowl along with the wet toilet paper. On the vanity was a used disposable razor. There were rings from glasses on vanity. This room was right next door to the room my deceased husband stayed in whenever we were in the Tucson area. I didn’t want to move. My husband passed in 2017. This was my first trip back. I did notify office in the checkout procedure. In room breakfast was tasty and warm. Nice buildings and grounds. 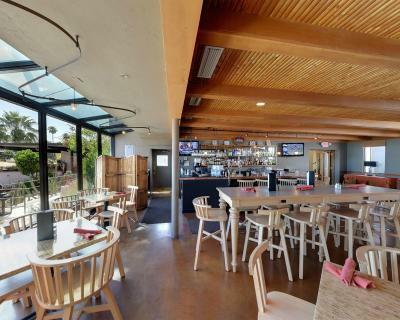 Convenient to places and nice to have dining options and bar there if you wanted convenience. Saline pool is way better than chlorine. It’s nice that resort is not on a golf course. Our rooms,had two different ones were in poor conditions needed paint,vents dirty sliders didn't slide well screen door fall off temperature gage didn't work in first room and tv controller???? Property was a little dates but understand you are going to refurbish soon. It seemed to be understaffed. Service in the bar and the restaurant was slow. Staff had to perform multiple tasks. Resort is in need of major upgrading. Rooms need new carpet, painting, new furniture, remodel bathroom including fixtures. There was a methane gas smell in the shower area. We reported this problem to the hotel manager who made a note of the problem but took no action.